The affordable Roku Express, $39.99 and Express+, $49.99 (similar but the Express+ also supports older TVs via composite (red/white/yellow) cables) are compact, powerful and fast. Users connect via the included HDMI cable to a free HDMI plug on their TV. Your home WiFi streams content to your TV through the Roku receiver in Full 1080P HD. The included remote has fast button access to paid subscriptions like Netflix, Spotify and the free iOS or Android app lets you visually organize, search content and more on your phone. You can even send video and music from your phone to the TV. Unbiased searches across some +2,500 channels using voice search on your mobile app can find the best price or free content. TED, Google Play, YouTube, Crackle, Sky News, and Cineplex are also available. Think access to over 100,000 movies and TV episodes across 2,500 paid or free channels! 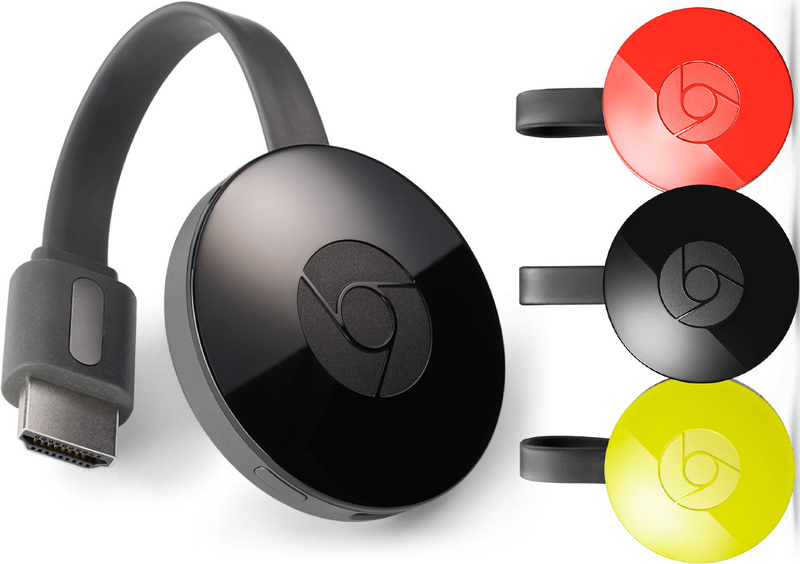 The Chromecast Ultra, $90, an upgrade to the previous model, streams content in 4K and newer more brilliant HDR, including both HDR10 and Dolby Vision support. It also includes an optional wired Ethernet connection for consistent speed. A growing list of 4K content from various sources, including Google’s own Movies app are available. It supports screen mirroring from Android tablets and laptops. Your iPhone or Android phone becomes your remote to browse more than 200,000 TV shows & movies, 30 million songs, plus radio, sports, games, and more. Even if your TV is HD, you get better results with automatic optimization for best picture quality. For Android Devices, iPhone, iPad, Mac, Windows and Chromebook. Available on the Google Store and Google shops at Best Buy Canada locations. Netflix does not come with hardware. It’s a subscription that runs on its own app on phones, tablets, computers, smart TV’s and media streaming. The service fills many needs, from folks with low budgets like seniors or students. Older programing or movies not available on current cable TV services and all you can watch for a low monthly fee make Netfilx a good deal. And you can cancel whenever you want. Prices range from Basic $7.99 a month for lower resolution, and one screen watching at a time, to $9.99 for HD and two simultaneous screens to $11.99 for 4K Ultra HD where available and watching up to four different screen at the same time. You can get a gift code as a Holiday present for loved ones to either start the service or renew it later. Did you know? Recent research showed that among the 30 million Netflix subscribers worldwide, after finishing a series, a majority of Netflix members (59%) take a pause, usually lasting three days, before committing to a new show. During that break, more than half (61%) watch a movie to keep the binge feeling alive.